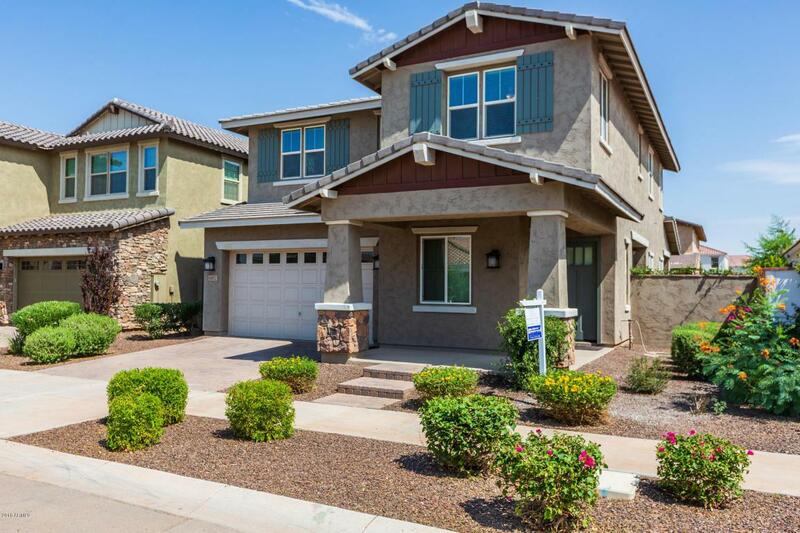 Gorgeous, spacious, immaculate home in an award-winning community. 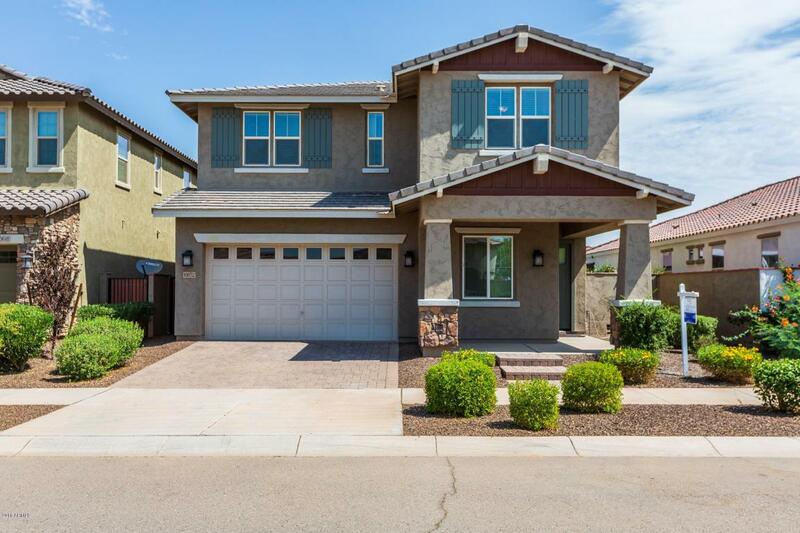 You will love this beautiful 4 bed 4.5 bath home w/office and lots of upgrades. Incredible kitchen w/huge island, granite countertops, stainless steel appliances, tons of counter space and cabinets, R/O system, soft water. Brand new professionally installed wood-look porcelain tile throughout the downstairs. 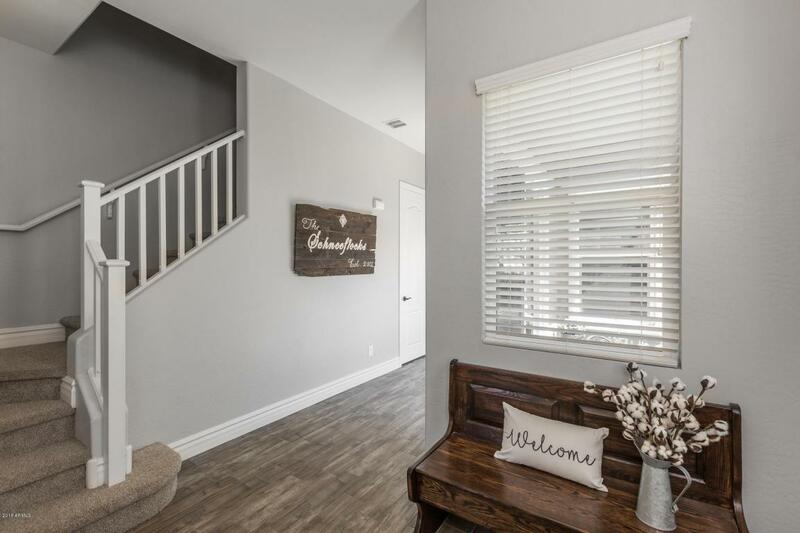 Perfect family home w/large bedrooms (each w/bath & walk-in closet), huge great room, two sliding glass doors lead to a covered patio and beautifully landscaped yard (real grass, fruit trees, raised garden bed), and a serene private flower garden. Large master suite, walk-in closet, dual sinks, soaking tub and separate shower. 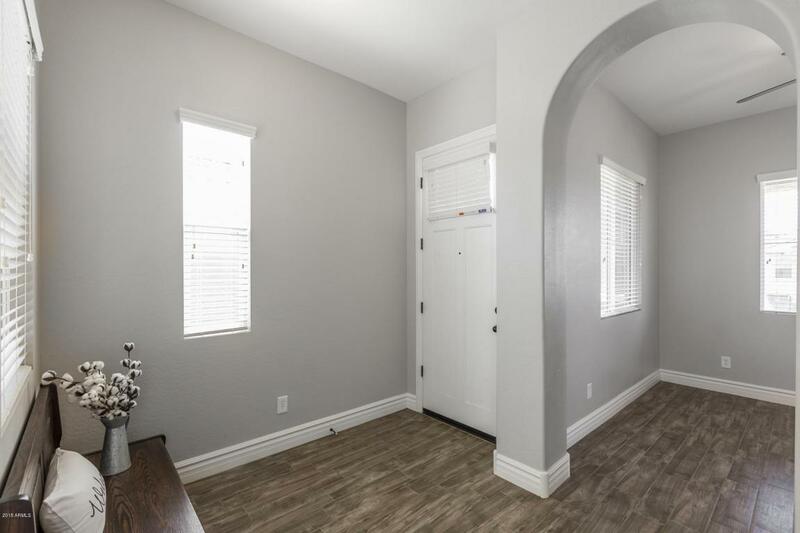 Plus 10' ceilings, 8' doors, and 6'' baseboards throughout. You don't want to miss this one! Cross Street Signal Butte Rd. And Ray Rd.